Most tenant screening agencies, including Tenant Verification Service, provide a variety of tenant screening report options, including a simple-to-read credit decision report, or the full credit report. Either credit report option offers a landlord verification that the applicant has a credit history, linking a specific applicant’s name to a specific SSN or SIN, and typically to a date of birth and previous address. Armed with that information, a landlord can use photo ID to link the person applying to rent the property with the name on the report. This information can immediately be put to use by cross-checking it against the rental application to see if the applicant told the truth. In jurisdictions where a landlord is allowed to obtain criminal history, the previous addresses provide the locations a landlord needs to conduct a local search for convictions. For landlords who are not able to search eviction records or criminal history, the information from the credit report may be the best – and only, way to catch an applicant in a lie. It is worth noting that if a credit report comes back showing that the applicant has no credit, the landlord should be alarmed. In all likelihood, either the information from the application is not accurate, or this person is a fraud. 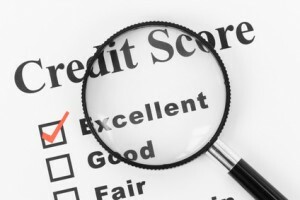 There are a couple of advantages to a credit decision report. This report provides critical information, like verification of the applicant’s name with the date of birth, SSN or SIN, and present address, and flags credit problems automatically. The landlord need not pour over pages of numbers to figure out if the applicant is a good risk. Many landlords find this option is enough to provide a comfort level about the applicant. Another advantage to the credit decision report is time. These reports are available to landlords instantly without the need for the process called “underwriting”, a credit agency requirement that includes a site inspection, necessary to verify that the landlord is in fact a landlord before they can obtain a full credit report. Credit decision reports use a graded system, from A, excellent, through F, fail. Full credit reports will score the applicant based on a number of statistical measures. The names of these scores vary between the credit reporting agencies – FICO, Beacon and Empirica are all versions of the original rating system Fair Isaac Risk Score. Credit scores typically run between 500 and 700 or higher. Many landlords want an applicant to have at least a 600, while some will accept a lower score if other factors are positive, for instance if current income is high and the person has a good reference from a past landlord. A landlord may choose to screen tenants on the credit scores alone, but that may not be the best practice. While scores can be helpful in developing a minimum threshold for accepting applicants, there is much more information in a full report that a landlord should review before making a decision, even if the applicant has a high score. The full credit report is typically many pages long and will include more personal information about the applicant, including specific information about the type of debt and payment history. There are advantages to this type of report, but only if the landlord is willing to put in the time to review it. Credit reports will show outstanding accounts for the past 7 years. This is helpful to know when verifying that the applicant is the same person as on the credit report. For instance, you might find that the apparent age of your applicant doesn’t match the type or maturity of credit on the report. Also, the information on the photo ID may conflict with information on the report. This information may also be helpful in developing a picture of this applicant’s income history. A tenant credit report will show delinquent accounts, collections, late payments, judgements and bankruptcies. However, it will not show pending court cases, whether the current landlord is suing, eviction proceedings, criminal arrests or criminal convictions. It will also not show past due rent or chronic late payments where a past landlord has not reported the tenant to a credit agency. Don’t let a bad tenant victimize their next landlord. Tenant Verification Service, a credit reporting agency, reports tenant pay habits. If all landlords reported the pay habits of high risk tenants, the problem of repeat offenders would go away. With this type of accountability, bad tenants would learn to take responsibility for their actions. The fear of not having a roof over their head provides strong incentive to pay rent. Next post: Where Do You Draw the Line With Tenant Credit?